We are proud to show you what goes on behind our units! At North West Dubs we build VW camper vans to last, that's why we build our units like tanks! 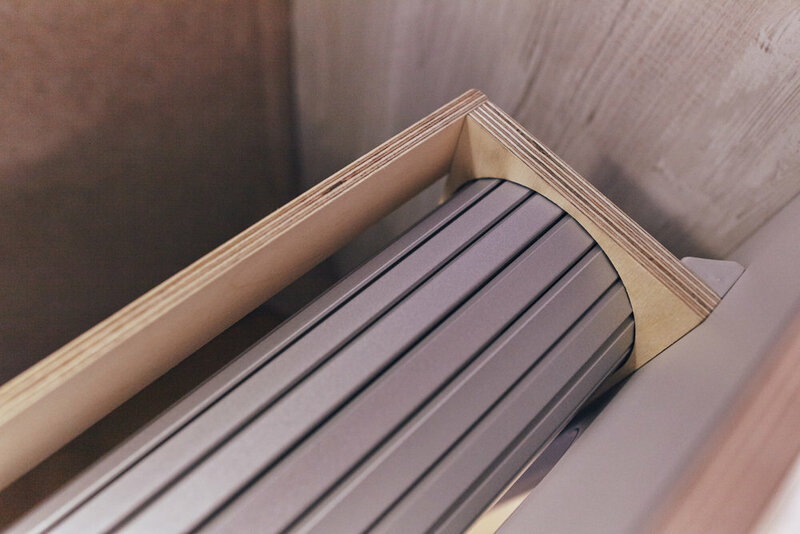 With the use on CNC machinery, flat presses, PVC edge banding and high end hardware we are able to create units that you'll find nowhere else. Once we have nailed the worktop choice for you we have the sheet CNC milled to house either the Smev double or single sink. With this perfect fit we reduce any stress on the expensive consumables, future proofing longevity. The North West Dubs team designed and created these light weight ply spirals and tracks to house your tambour doors. 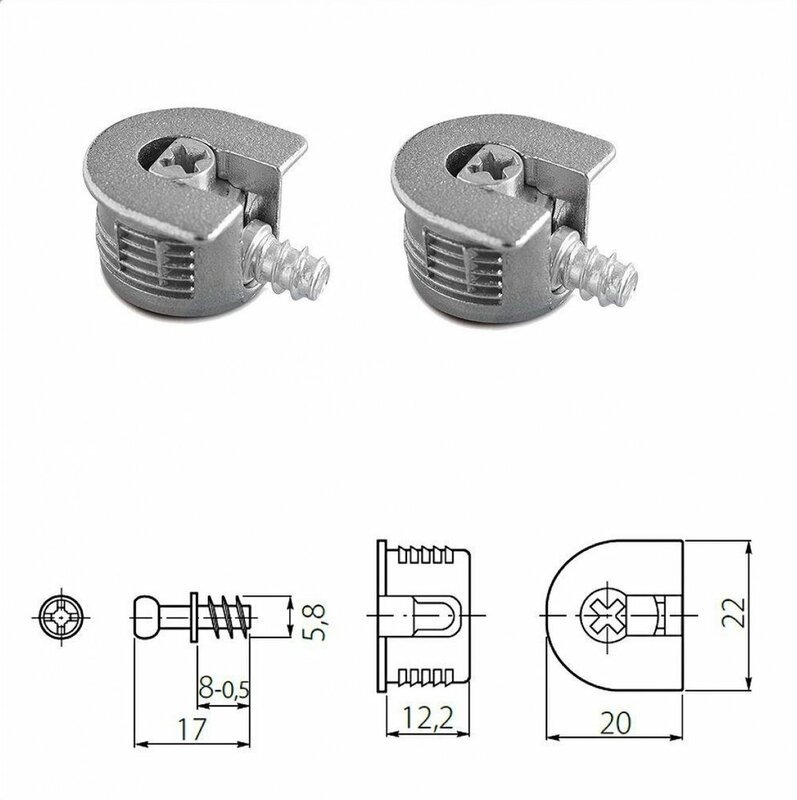 This allows the tambour doors to glide effortlessly up and down. 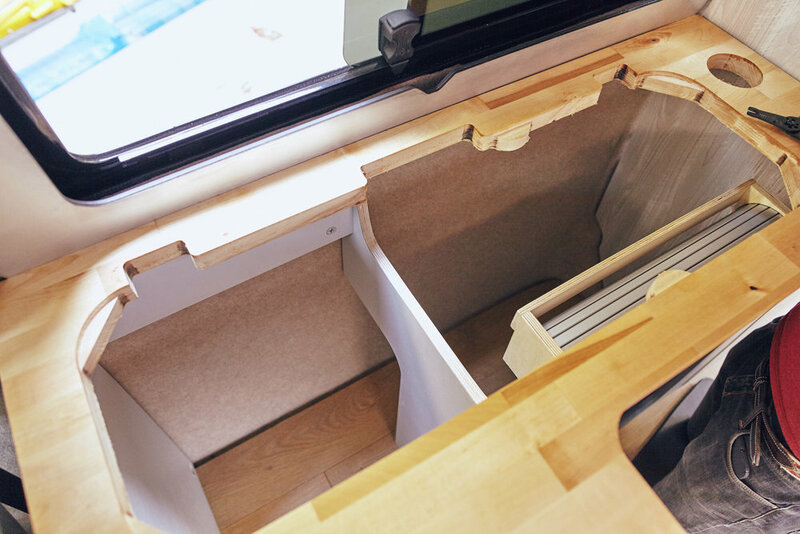 Once we have constructed all of the units in-house we test fit everything to make sure they fit like a glove. Once we have a tight fitting unit we then install all of the consumables and electrics. 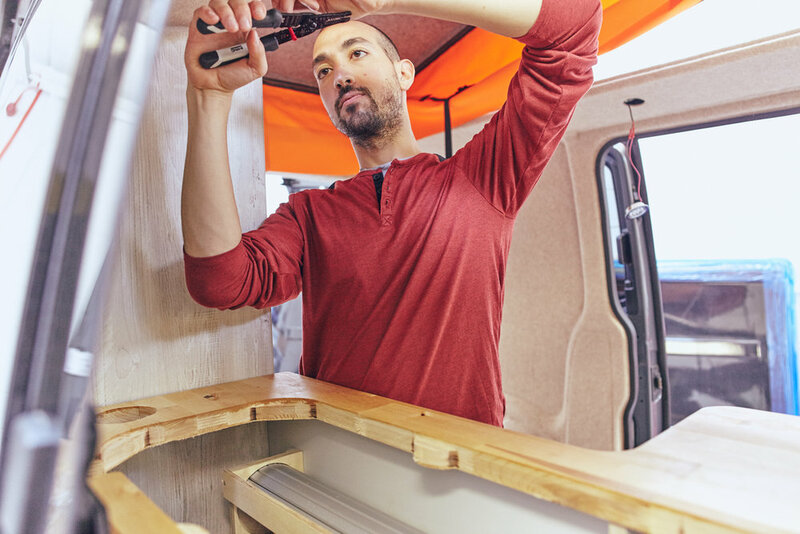 We strive to make camper van conversions that are as comfortable as your home. Food grade oil is used on our butcher block worktops which makes it a safer place to prepare food. 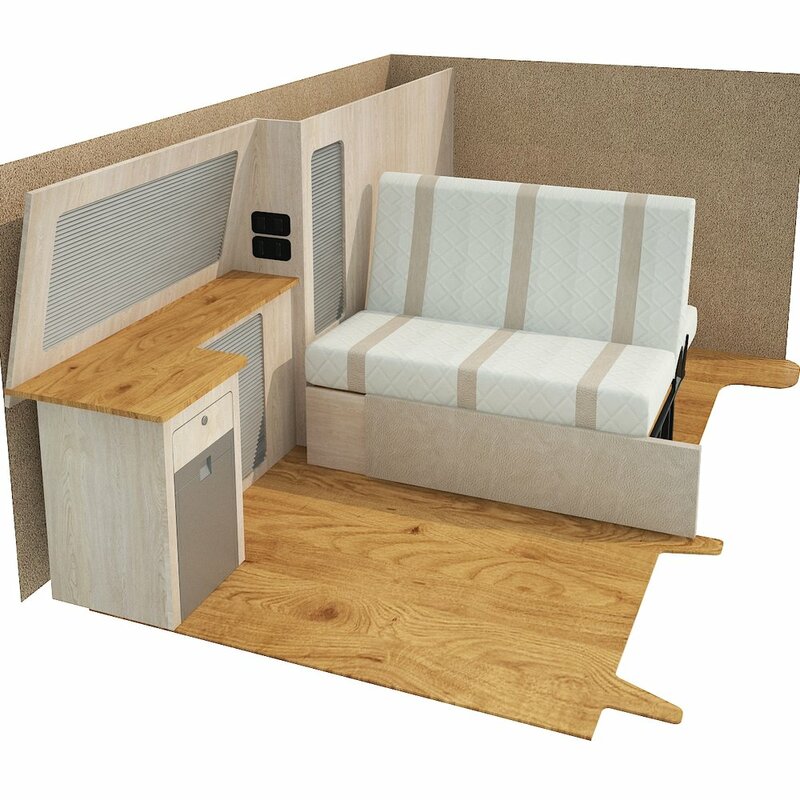 Take advantage of our bespoke digital design service to make your dream camper van. 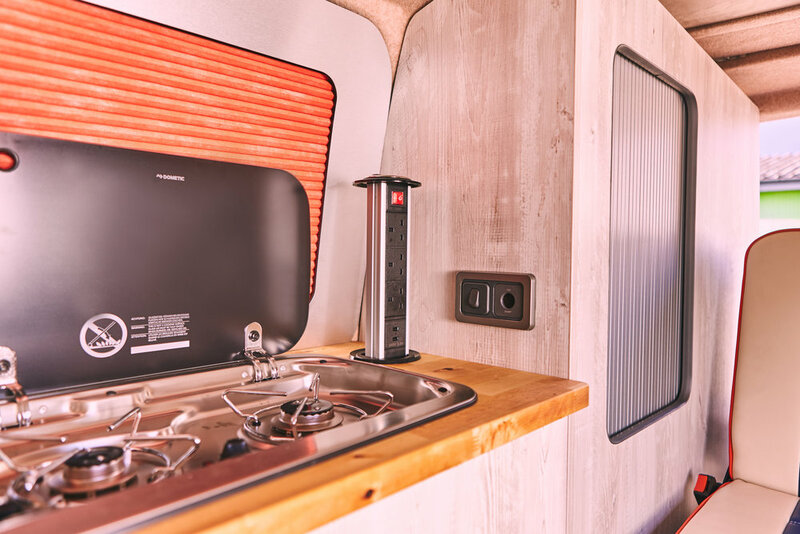 Our full width kitchen benefits from a double hob, sink, fold tap, power tower with three sockets and two USB's. The satin silver tambour doors conceal your storage area and match the Waeco CRX50 fridge. 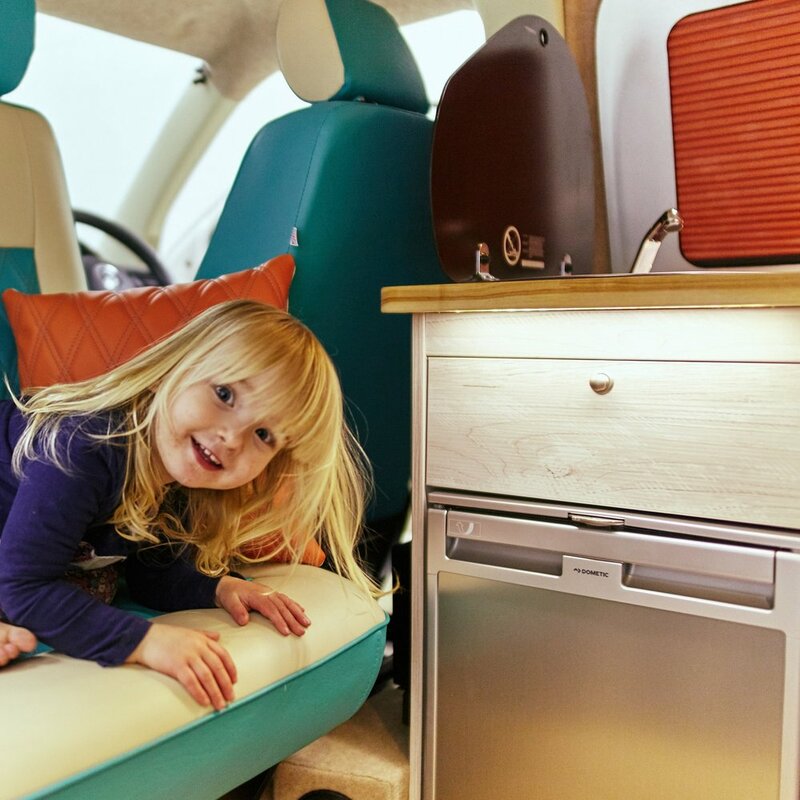 At North West Dubs we love designing camper van conversions, what inspires you?